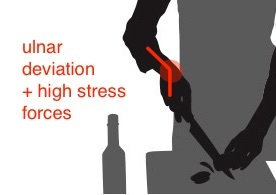 Regular daily activities may cause (or aggravate) musculoskeletal disorders. Disorders of unclear origin are often the end result of a gradual overuse process, unnoticed by the patient. The consequence of this can be sub-optimal outcomes for medical, rehabilitative and surgical therapies. Furthermore, acute injuries may require intervention to prevent a cascade of effects resulting from the original injury. Because MSK/CTD pain cases can be hard to analyze in the clinic, this may result in unanswered questions about how to alleviate the causes and prevent recurrence. This is common and frustrating for clinicians and it can be discouraging for patients. 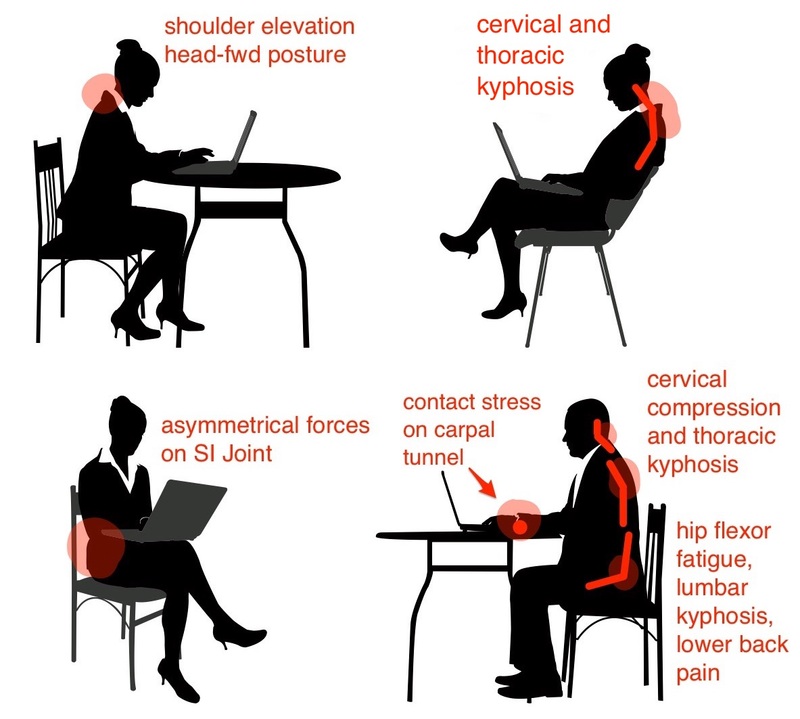 An OT Ergonomic assessment is designed to identify causal factors that cannot be seen in the clinical setting, providing needed information to clinicians to assist you in making treatment decisions and to educate your patient directly about how best protect their body and maximize healing. As a front line conservative intervention, an OT Ergonomic Assessment is a good option to include in your considerations for MSK/CTD conditions. The functional causes of CTDs are often obscured by habituation. This is especially for tasks that involve static muscular contraction, which deprives musculoskeletal tissues of cardiovascular and interstitial/lymphatic circulation. Also, many patients’ routine activities cause minor but repetitive stresses without allowing sufficient time for tissue recovery between work sessions. As a result, pain conditions may have a long, gradual onset. A a result, many patients do not respond satisfactorily to treatments. Often, the causative stressors are not apparent to patients and cannot be assessed from within the clinic. Our therapists will support you and your patients with on-site assessments to identify the biomechanical stressors impeding your treatment goals. This will allow your treatments to reach their maximum potential. Compliance with movement restrictions prescribed by professionals is low, due to patients’ perceived necessity of carrying out daily activities. Many activities involve repetitive, stereotyped movements which produce strain on commonly injured tissues. As a result, your patients may reach a recovery plateau while continuing to suffer ongoing pain and functional limitations. Therefore, improving the biomechanics of functional activities by providing alternative equipment and teaching alternative movement strategies is an important part of a comprehensive treatment plan. In this way, clients’ modified daily activities will cause less strain on joints and muscles and improve rehabilitation or post-surgical treatment outcomes. Contact us at 604-813-1798 or info [at] ergo-dynamics.com to discuss a potential referral, or you may fax referrals to 1 604 800-6632.